residents in the state of Colorado. JG Mechanical is your Denver Air Conditioner Repair Specialists. Denver Air Conditioner Repair specialists JG Mechanical is prepared to service all different makes and models regardless of age. 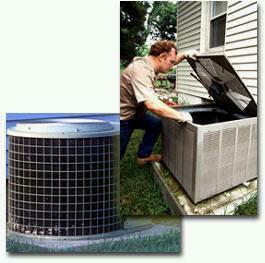 We will also advise you when it is time for a new Air Conditioner Installation. JG Mechanical is your complete Commercial and Residential HVAC/R repair company. HVAC/R stands for Heating, Ventilation, Air Conditioning & Refrigeration and we cover the entire Denver Metro area. Our offering includes a complete range of repair services such as installation, replacement, repair and regular monthly maintenance. We repair as well as perform maintenance on air conditioners (AC), coils, humidifiers, thermostats, electronic air cleaners, AccuClean and Clean Effects whole house air cleaners. We also seal and service or add ductwork. For our commercial customers we service roof top/package units, exhaust equipment, ice machines and refrigeration equipment. We also offer monthly maintenance programs to keep your equipment in top shape. JG Mechanical provides both in warranty and out of warranty repair services on most types of Air Conditioner & refrigeration equipment. JG Mechanical specializes in both home and business, Denver Air Conditioner Repair, as we are happy to keep our clients in the Denver Metro Area, cool. Air conditioner repair is one of the top ways to keep cool during the warmer months and keep your system running at peak performance. No project is too big or small, and we strive to deliver 100% customer satisfaction on every job. So whether you need Denver Air Conditioner Repair work for a single unit or an entire office building, our highly friendly, qualified and knowledgeable contractors desire to provide the fastest, high-quality service you can depend on with JG Mechanical. If you are needing to repair, replace or need a free estimate on your air conditioner, air cleaner, humidifier or thermostat please contact JG Mechanical Today! "Denver Air Conditioner Repair" page of JG Mechanical's Website!